As a 10-year veteran of locum tenens, I’ve had my share of locums successes and struggles. During that time, I have had the opportunity to meet and learn from other physicians about their locums experiences, as well. 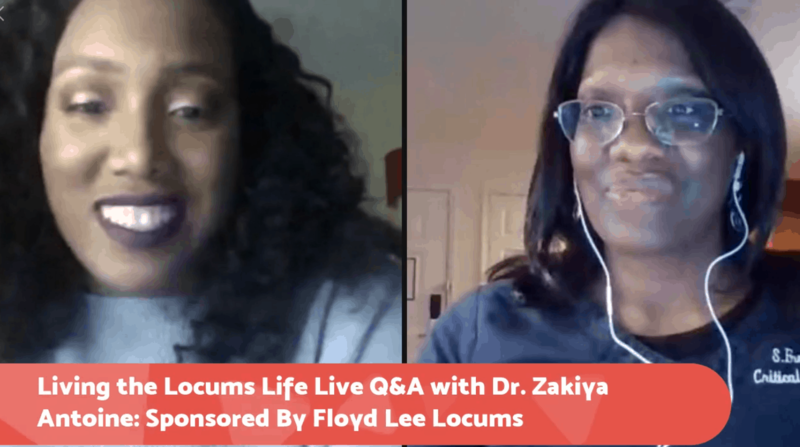 Now, I get the chance to share one of those conversations in an interview I did with Dr. Zakiya Antoine, a locums physician with Floyd Lee Locums. Dr. Zakiya Antoine is a board-certified Family Medicine physician who completed her residency in 2017. She says she knew she wanted to pursue the locums lifestyle ever since she was a resident and, in fact, started looking for locums jobs during her residency. Why work locums? Dr. Antoine decided to pursue a career as a locums physician because she wanted to start a business outside of medicine. She didn’t want the “traditional experience” of being a physician and was torn, as she says, “between being a 9 to 5 physician and dancing to the beat of my own drum.” Locums was attractive to her because she wanted the opportunity to explore other options, needed job flexibility and wanted a higher pay rate. What are the pros and cons of locums? Like all things, working as a locums physician has its pros and cons. The greatest benefit of locums for Dr. Antoine is the flexibility. She enjoys that she can adjust her work schedule to suit her needs. However, she says the biggest downside to performing locums is the risk of not having a good assignment. Dr. Antoine notes that she has never had a bad assignment with Floyd Lee Locums because, if any issues arise, the recruiters at Floyd Lee Locums are very supportive and work hard to resolve them. Any good advice for those new to locums? The one thing Dr. Antoine wishes she would have known when she started working as a locums physician is how to manage her finances. Because a locums physician is an independent contractor, taxes are not taken out when wages are paid. Not only is a locums physician responsible for paying taxes on their 1099 income, they must also obtain their own benefits, such a life insurance, health insurance, disability insurance and establish a retirement plan. However, Dr. Antoine states this is all feasible if you have a team of financial, legal and accounting experts. In fact, she encourages other physician considering locums to not let this deter them. First, don’t be afraid of the idea of locums. Be flexible in terms of willingness to travel, the places you are willing to work, and the type of work you are willing to do. The locums experts at Floyd Lee Locums can help you develop a realistic and successful approach to locums. Contact them today at www.floydleelocums.com. Stephanie E. Freeman, MD, earned her Medical Degree from the University of Alabama School of Medicine. 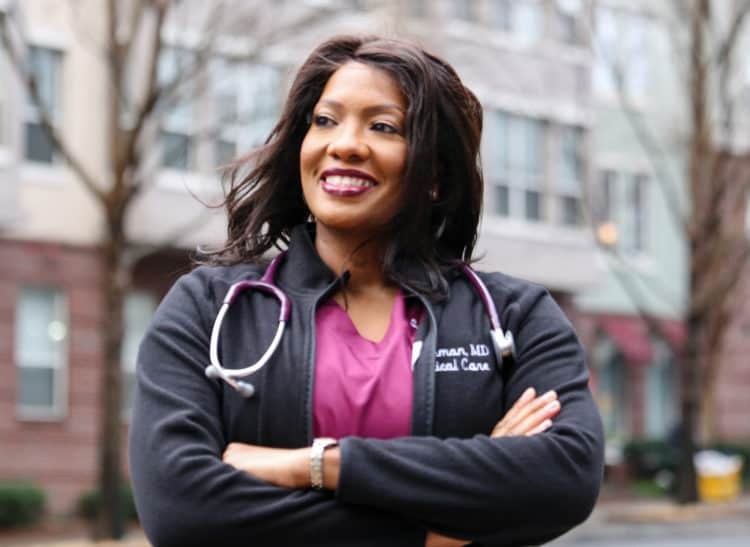 She completed her Internal Medicine Residency at Wake Forest University Baptist Medical Center and her Critical Care Fellowship at the University of Pittsburgh Medical Center. Dr. Freeman also completed a Geriatrics fellowship at Wake Forest University Baptist Medical Center. She obtained her Masters of Business Administration at Auburn University.